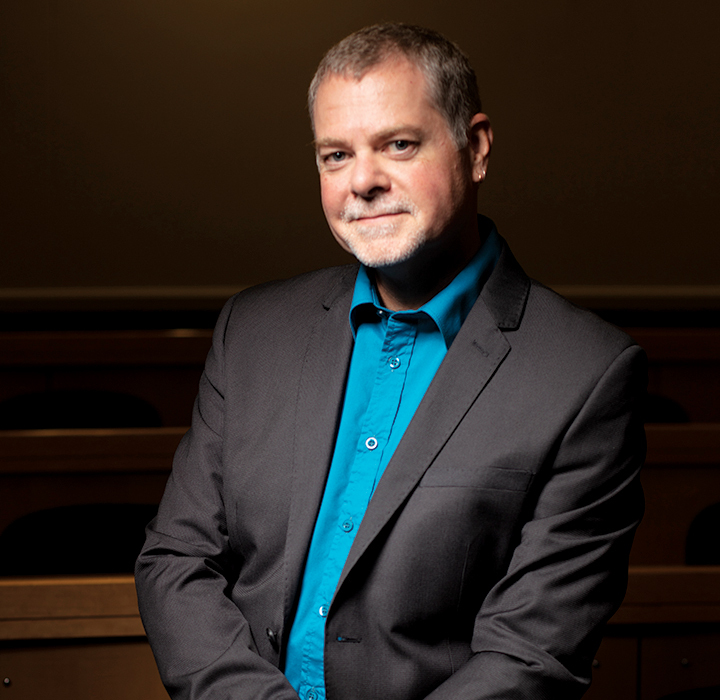 Gavin Moffat has spent 20 years advising organisations of all shapes and sizes on how to build their business, plan their growth, and communicate with their audiences. In that time, he has written extensively about issues affecting entrepreneurs, managers and pretty much everyone that is part of building a successful business. Gavin is also a SCUBA and technical diver – a sport in which knowing and sticking to the rules is more of a matter of life and death than just about any other sport. He’s also a parent – and has leaned lessons from his three young adults that simply aren’t in any rulebook! 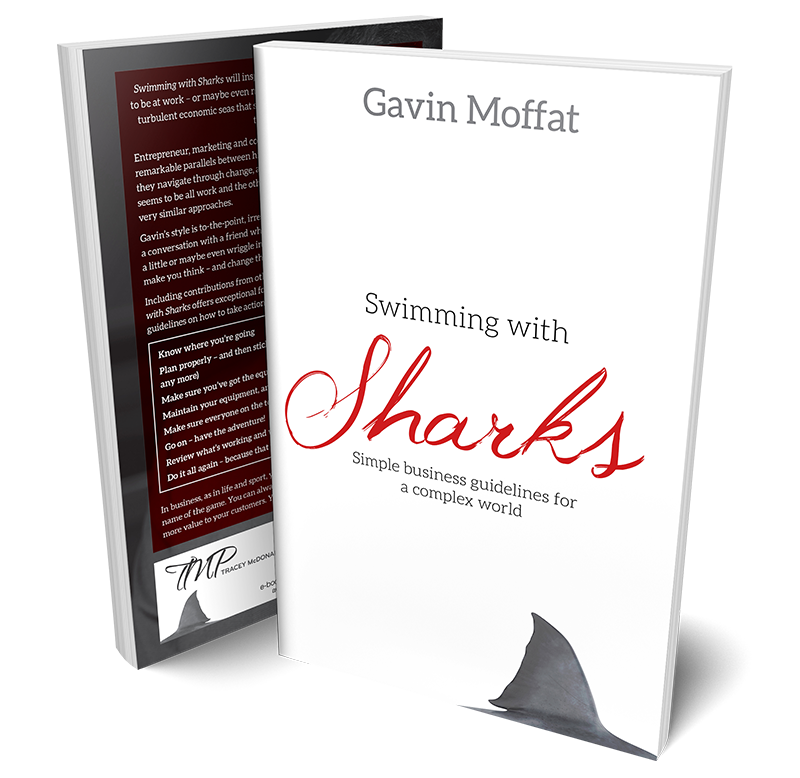 In this book – ‘Swimming With Sharks – Simple Business Guidelines for a Complex World’, Gavin unpacks the journey of building a business and keeping it alive, and themes his insights along the rigorous requirements of SCUBA and technical diving. Gavin’s style is to-the-point, irreverent, and frequently funny. This is a conversation with a friend who asks questions that may make you squirm a little or maybe even wriggle in discomfort. But they’re questions that will make you think – and change the way you think too. It’s an engaging chat with a mate over a coffee that will inspire ‘a-ha’ moments that will make it more fun to be at work – or maybe even make it possible for your business to survive the turbulent economic seas that seem synonymous with building a business in the 21st century. Gavin Moffat is a speaker, writer, author, common sense evangelist and an accidental specialist in the field of marketing and communication strategy. As the co-founder and pothole spotter of join.the.dots, he teaches game-changing techniques for busting through “it’s complicated”, cultivating clear thinking, and boosting common sense. He leads workshops and trainings that bring clarity to individuals, teams and workplaces. His focus is on creating real-world results in which teams cut through the clutter and meaningful productivity skyrockets. Through speaking, writing, training, consulting and coaching, he shares tools, thinking techniques and questions that challenge the accepted norms and lead to “aha” moments that translate into clarity, new skills and shifts in people’s productive and effective work lives. He talks with passion and energy on a wide range of topics including strategic marketing and communication, media training, crisis communication, business strategy and change, integrity and brand authenticity and the parallels between technical diving and the parry and thrust of the world of business. Gavin is a TEDx speaker (2013) and panel-participant (2016), an avid SCUBA diver, not-so-active technical diver, lapsed microlight pilot, composer of electronic music, father of three, and author of the book “Swimming with Sharks – Simple business guidelines for a complex world” being published in November 2018. Together with his wife and business Ingrid, Gavin spearheads co-gender connection programs in the corporate and personal development spaces under the Hers&His banner. Michael JordaanFormer CEO FNB, venture capitalist.